White color ceramic photo piggy bank. A perfect gift for kids. 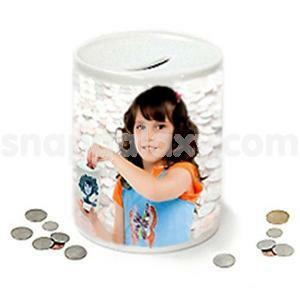 They will remember you everytime they save coins. It's made of ceramic and can be personalized with your choice of photo and a message. Color: White. Skillofun Color Tablets (11 Pairs - Primary, Secondary Colors)"